Friday night in Cardiff, at the Motorpoint Arena, boxing fans witnessed thrills, shocks and an array of boxing talent. Cyclone Promotions were once again in town promoting the show, which was aired on Spike TV and Channel 5. The card featured boxers from the Sanigar stable. An intriguing contest that was an eliminator for the WBC flyweight title. Selby entered as the favourite but was soon tasting the canvas. While ducking by the ropes, Selby was tagged on the chin by a solid right hook. The Barry boxer beat the count, and used his foot speed, to keep clear of danger. Another big right hand landed by Nicaraguan Rosales, in the second round. The tall Rosales, pressurised throughout the bout. He kept up a persistent threat, while Selby used all of his wizardry, to land and defend. 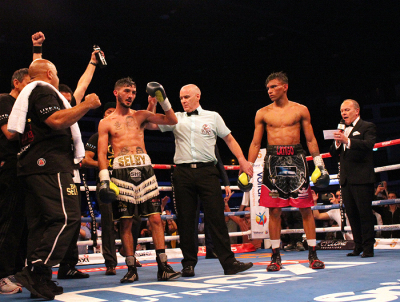 The rounds were compelling viewing, Selby a joy to watch while Rosales never let up. Selby landed every punch in the book, during the bout, and played matador to the onrushing bull. 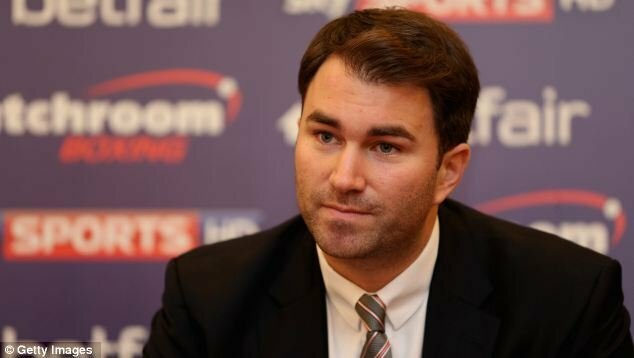 The man from Managua, in Central America, had three times the number of contests of his Welsh foe but the skill level was with Selby. Andrew, trained by Tony Borg, followed instructions and kept a higher guard at times. He effortlessly switched stance during the contest and was usually a step ahead of his dangerous foe. 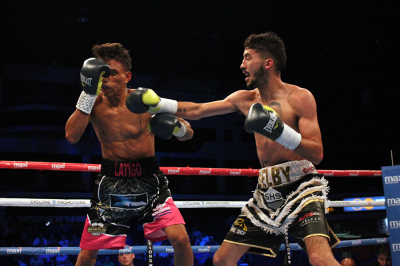 Selby, lands shots from every angle imaginable and he was delivering them with speedy precision. Rosales fought with everything he had but still came up short. The judges scored it: 117-110 x 2 and 118-109 for Selby. The right man won but the margins a little wide for me. Selby is now 9-0, 5 KOs, and this was perfect preparation for challenges that lie ahead. The current WBC champion, from Japan, is the formidable Daigo Higa (13-0, 13 KOs). The hugely experienced, and talented, Filipino Donnie Nietes (40-1, 22 KOs) holds the IBF version. Japan's Kazuto Ioka (22-1, 13 KOs) holds the WBA; China's Shiming Zou (9-1, 2 KOs) the WBO ruler. 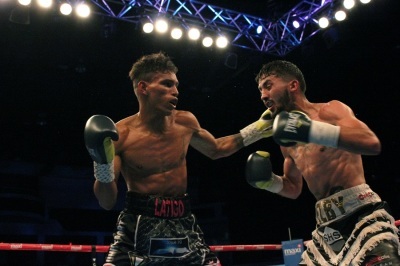 Selby is hugely talented in a ferociously competitive division. Cristofer Rosales record now reads 23-3, 15 KOs. His thirteen fight winning streak coming to an end but he impressed and will be a tough opponent for anyone. Boxing is full of broken dreams, on this night it was Cardiffian Kennedy, 32, that left the ring having lost. Matty Askin, 28, has had the same feeling before but pursued his goal and in the Welsh capital triumphed. 'The Assassin' entered the ring to the sounds of 'Swing Low, Sweet Chariot' and it was a sweet, solid right hand, in the first round, that decided the course of the contest. The first right sent 'The Kid' on the retreat; Askin's, in full pursuit, detonated another near the ropes. Kennedy beat the count and then was met with another solid right hand but held. Kennedy did well to evade the onrushing Englishman but was on unsteady legs. In the corner, at the end of the round, the advice to Craig was to stop moving to his left and keep his hands up - for some reason, the talented boxer never implemented the instructions during the rest of the bout. The second started tentatively. Askin's patient, Kennedy looking to flick out the orthodox jab. The right hand, once again, had the Welshman in trouble. His legs betraying him but he did well to stay on his feet and see out the round. The third and fourth were much quieter rounds. Kennedy on the move, to his left, flicking out an orthodox jab. Askin's throwing his own jab and slowly following his foe, looking to land another big right. Nothing to really separate them in these rounds. 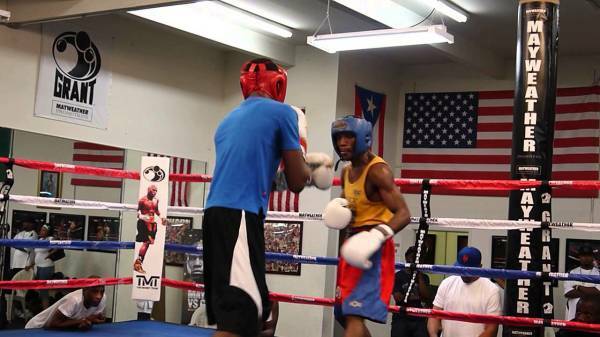 Askin's trainer Michael Jennings, instructing his boxer to put on more pressure rather than follow. The fifth was an Askin round and then the fateful sixth. Matty Askin, realising his dream, with another huge right hand, near the ropes, dropping Kennedy heavily. Craig beat the count but referee Bob Williams had seen enough. Matty Askin had become the British Cruiserweight champion and did it with a composed, hard hitting display. He didn't rush his work but timed the right hand to perfection. Craig Kennedy never seemed to recover properly from the first round. It's a credit to him that he was still around at the half way point. He never got his punching rhythm going or landed solid shots to deter the more experienced Askin. 'The Kid' is now 16-1, 8 KOs and will regroup. He is meticulous in his preparations and will study what went wrong and make the adjustments. Matty Askin's record improves to 22-3-1, 14 KOs. The man from Blackpool is proof that you can come back from setbacks and still realise your dream. Pontypridd's powerfully built Jermaine Asare, trained by Darren Wilson, was facing an unknown quantity in Maltese based Libyan Malik Zinad. Asare, 33, entered the ring having won four in a row while Zinad, 23, had stopped seven of his eight previous opponents. It didn't take long for the two to trade bombs both looking to impact on the other. Zinad the taller and rangier of the two. It was the 'away' fighter, who landed the big right first, that had the 'home' fighter holding on. Referee, Martin Williams, instructed the pair to stop grappling. A huge straight right connected and had Asare in trouble, with Zinad looking for the finish. Another spot-on right felled Jermaine and he was completely out. Referee Williams, waving it off straight away. This was a contest between two 'gunslingers' and it ended in dramatic fashion. Mailk Zinad's record is now 9-0, 9 Kos. He has now fought in six different countries and is trained by former WBC World Light Heavyweight champion, Donny Lalonde. Jermaine Asare's record is now 7-2, 1 KO. He will look to come back and he may have just lost to a very talented banger. 2012 Olympic silver medallist Fred Evans, 26, was making his professional debut under the watchful eye of his experienced trainer, Tony Borg. Belgian Najim Fennane, 31, entered the ring with a 1-1 record and a durable sort. Evans, for the most part, controlled the contest with a southpaw jab. He showed flashes of impressive combination punching. Fennane showed ambition and was competitive, he was cut in the fourth round and touched down, looking a little dazed though no knockdown called. 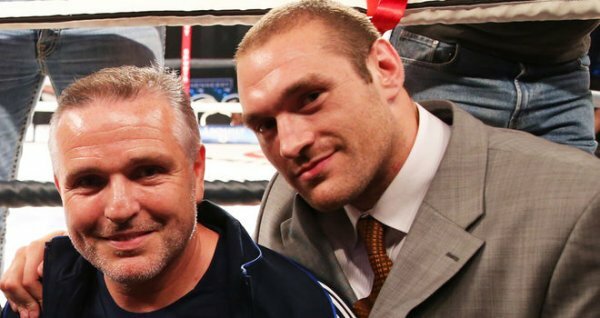 The rounds were all being won by the Welshman, who got a good six rounds under his belt. Referee Reece Carter, scored it 60-54 to Evans who is now 1-0. Najim Fennane drops to 1-2. Undefeated Merthyr prospect, Gavin 'Double G' Gwynne continued his winning ways. He boxed and outfought the game Ibrar Riyaz. The Reading man has only been stopped three times in over a hundred contest. He keeps plugging away and battling. Gwynne showed good combinations and digging body shots, to clearly win the contest. 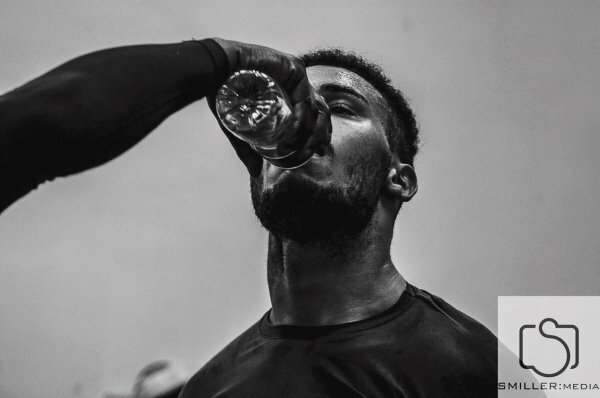 The product of Tony Borg's St.Joseph's gym, in Newport, is one to watch. Referee Martin Williams scored it 40-36 to Gwynne; who remains undefeated at 6-0, 1 KO. Journeyman Ibrar Riyaz record is now 5-119-4, 2 KOs. With a World title fight on the horizon - Ebbw Vale female boxer Ashley Brace kept busy with a six round contest. Croatian Nevenka Mikulic, 37, was in the opposing corner. At times, Brace stayed at range landing jabs followed by right hands and at other times, she was on the chest of her opponent, grinding her down. Brace, 26, is now 7-0, 3 KOs. Nevenka Mikulic's record drops to 7-9, 1 KO.